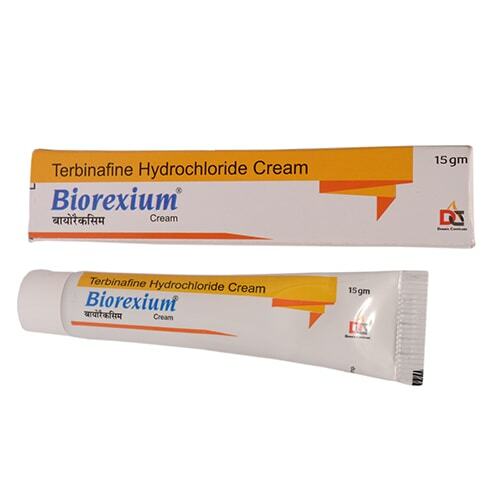 Biorexium Cream | Terbinafine Hcl – Biorexium cream is an antifungal formulation which is effective in treating skin issues caused due to fungal infection. The creamy texture of Biorexium prevent the dryness and treat the problem effectively. 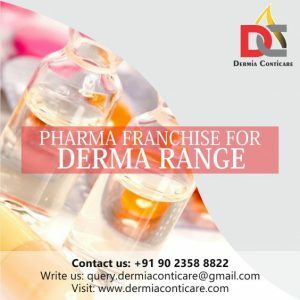 This formulation contains Terbinafine Hcl 1% W/W which is used for the treatment of ringworm, pityriasis, and versicolor. Terbinafine hydrochloride is present in the form of white crystal powder which is easily soluble. The best is about Terbinafine Hcl is, it is highly hydrophobic are quite effective in accumulating in hair, skin, nails, and fatty tissue. The antifungal cream containing Terbinafine Hcl works better and half in the time of other creams which do not has it in them. Simply squeeze a little to get the Biorexium cream on to your palm. Then apply it on the affected area and lightly massage cream into your skin in the circular motion in order to get maximum penetration. Apply timely or according to the direction of your dermatologist or skin specialist. Make sure that you use the cream under good medical supervision.